1. 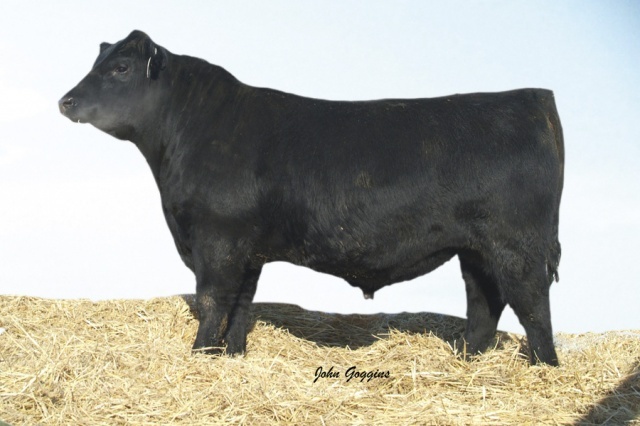 Calving ease sire with terrific growth. His yearling ADG is 4.04 with a ratio of 125 and a yearling ratio of 119 with 113 contemporaries. move well. He ranks in the top 1% for birth weight, weaning weight, yearling weight, $W and $F. 3. Sons have large scrotal measurements. 4. Daughters have good milk and excellent udders.